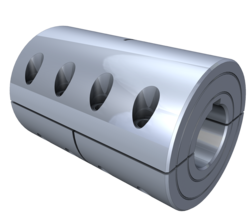 Our product range includes a wide range of pump coupling, rb coupling, muff coupling, standard gear coupling, rrj coupling and resilient couplings. 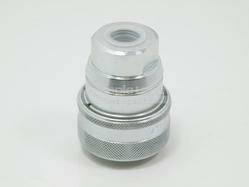 We offer a wide range of RB Coupling. Varying stiffness characteristics compact close coupled independent running simplicity of construction simple / easy maintenance low operation cost no lubrication. Our organization is engaged in offering a high performing array of Muff Coupling. Along with excellence, we also ensure to deliver our range of products within the stipulated period of time. The range of products we are offering is manufactures according to the demands and requirements of the customers to provide that perfect finish. 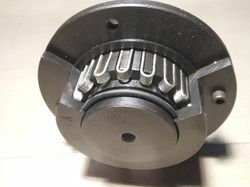 We have with us a wide range of Standard Gear Coupling, which include the standard gear couplings and the steel gear couplings. Available in metal seal and o-ring designs, these couplings are provided with advanced features like crowned and barreled teeth with tooth tip piloting, fitted bolts and forged steel components. 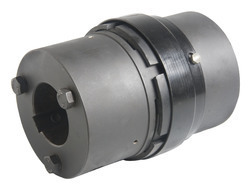 Owing to their quality features, these gear couplings are confirmed to the AGMA gear coupling specification number. 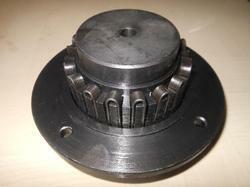 We offer high quality of RRJ Coupling that are highly demanded. Our company is engaged in offering a wide assortment of Resilient Couplings. 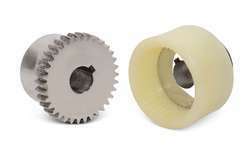 The Resilient Couplings we offer is recommended by the clients for their precise use. These products are suitable for various applications and known for their durability and reliability. Moreover, our products are available in the market at industry leading prices. 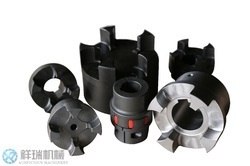 We indulge in importer, exporter and supplier of Resilient Spring Grid Coupling, which is appreciated for its attributes like durability, sturdy constructions and easy to install. Our product range is procured in compliance with variegated demands and needs of our client base. 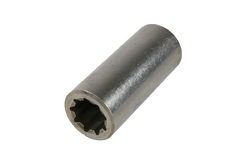 We are engaged in offering the finest quality Nylon Sleeve Gear Coupling to our clients. These couplings are manufactured from quality raw material and have features of low maintenance, user friendly and high performance. Used in worm gear boxes, cranes and in material handling equipment, our range finds wide applications in diverse industries.